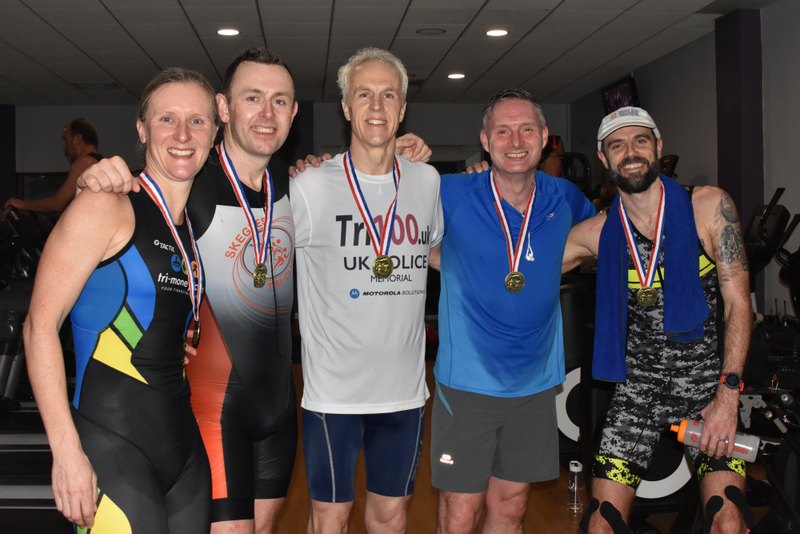 After completing 100 triathlons in 100 days and clocking up over 3,000 miles of swimming, cycling and running to raise money for a UK police memorial, Paul Lander has been welcomed at the finish line by Staffordshire Police's Chief Constable and other senior officers past and present. Chief Constable Gareth Morgan said: "The commitment and dedication shown by Paul to complete this challenge is incredible and something many of us would not have the inner strength to complete. "Police officers risk their lives every day in the service of their community and sadly on rare occasions the worst happens. Giving members of the public a chance to remember and honour fallen officers with a dedicated police memorial at the National Memorial Arboretum will be a fantastic legacy from Paul's efforts." Paul said: "It is an honour to be able to come to Staffordshire and finish my challenge at the Arboretum where a fitting tribute to the courage and sacrifice of over 4,000 police officers and staff who have lost their lives protecting the rest of us will be built. "The memorial will be a place where the whole police service can come to and reflect on the tragic loss of life in the line of duty. "During the past 100 days I have been supported by the families, friends and colleagues of those who have sadly lost their lives while attempting to assist the public. It has brought home its impact on so many people, and I am pleased to have been able to do my bit to say 'Thank you' for your sacrifice and ensure they have a fitting memorial where they can peacefully remember and reflect their loved ones." Chair of Trustees of the Police Arboretum Memorial Trust, Sir Hugh Orde, said: "Paul needs to be commended for completing this huge challenge for our charity and he should feel justly proud for what he has achieved. "Not only has his epic challenge raised a considerable amount of money, it has also raised awareness of the Memorial and the selfless acts of those officers and staff who have given their lives to keep us safe and protect us from harm."